There are those who love the fall and winter, who adore nestling down in luxuriant throws or donning decadent coats and hats; who revel in the ski season and the concept of fireplace-warmed chalets. Then there are those who crave an escape to warmer climes. If it’s the latter option you seek – the heat of the sun upon skin, the sound of the ocean lapping upon white sandy shores, and a delicious cocktail never far from hand – there really is no more superior choice of destination than the Caribbean. 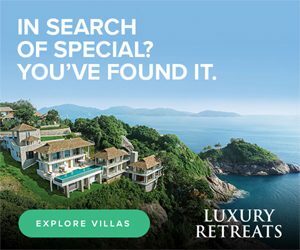 When you work hard all year long, to leave the madness of the winter holiday season behind to spoil yourself (away from festively fevered families or overly competitive skiers and snowboarders) is a simple, but attainable luxury you fully deserve. With over 7,000 islands to choose from in the Caribbean, deciding which suits your needs best is not as easy a process as it might first seem. For instance, Jamaica offers plenty of couples’ resorts, but that doesn’t help if you’re newly single. Conversely, the Bahamas are the most obvious choice for families, due in no small part to the size of the resorts there (wholly different an experience from the cliff-top dining and simple pleasures of dramatic views that St. Lucia has to offer). In short, you have to do your homework when it comes to deciding which paradise island getaway is right for you. Puerto Rico and the Dominican Republic are a fantastic choice for those who thrive on late-night reveling, but if you’re accompanied by children or don’t care to pay for near city-type vibrancy when you’ve traveled so far for peace and quiet, then these islands probably aren’t a match for your personal needs. Don’t settle; instead, ensure you’re traveling to a place you’re going to be happy to vacation. 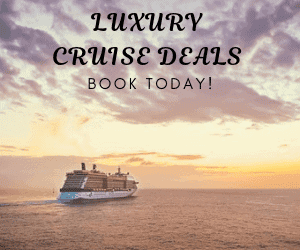 Of course, you can always overcome the burden of having to pick just one island if, instead of flying down, you book one of the many Caribbean cruises available. That way, like a wonderfully decadent tasting menu, you can sample a range of experiences. Do, however, bear in mind the larger the vessel, the fewer ports it will fit (i.e. be able to visit). Research all options available to you, and ensure the cruise you select visits your preferred points of interest. Of course, once your preferred destination (or selection) has been settled upon, there then arises the question of which hotel should you stay in. From exclusive, large and long-established beach hotels to more modern niche boutiques, the Caribbean is replete with luxurious options in hospitality. Not only that, but the range of activities on offer is near-endless, too. Escaping to a paradise island is not just about snoozing on the sand. Indeed, just because you left winter proper behind doesn’t mean you can’t beat the ski aficionados at their own sporting game: the water sports scene is positively vibrant in the Caribbean. Wherever you decide upon for your winter sun getaway, you can be certain it will be relaxing and wholly luxurious in that particular way only the Caribbean seems to have. It must be the sea air. I am definitely one of those folks that likes to escape the cold & snow in the winter! 🙂 My husband & I honeymooned in Puerto Rico, but I would love to explore more islands in the Caribbean. Puerto Rico is lovely! I’m praying for their recovery every day. I’m one of those people who loves fireplace-warmed chalets 🙂 Also, we’re really not beach people so we haven’t looked much at traveling to the Caribbean. We’re not opposed, but perhaps our best option is to do a cruise. Yes, a cruise would be a great option! There’s so much to see and do on the ship. When the PNW rain and cold sets in we all dream of warm weather destinations. I would love to explore the Carribean and soak up some sun to cure the winter blues. Yes, it really does cure the winter blues!! I will have to keep this in mind as I really need a personal retreat. I love the look of the Caribbean and been to cancun once. It’s a perfect place to escape the winter cold! What a wonderful post! Have you ever been to Curacao? The Dutch Caribbean island truly has the best weather during the fall and winter.